Today is the only day we travel up and down both these Twin Coasts in one day. 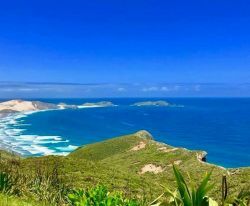 Traveling from Matauri Bay to Cape Reinga along the coastline trailing open blue waters we witness one of the five spectacular places in the world where two oceans collide refusing to mix. The Pacific Ocean & the Sea of Tasmania. 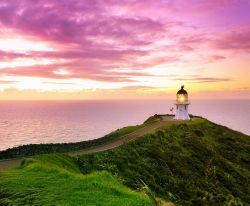 For Māori, Cape Reinga is the most spiritually significant place in New Zealand. The afterlife is a spiritual concept shared by many cultures. 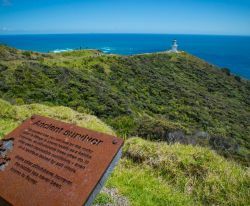 Visit the site of departure for Māori spirits. An ancient Pohutukawa tree and a lonely lighthouse mark this special place. A major highlight of this tour where tide changes wait for no man. 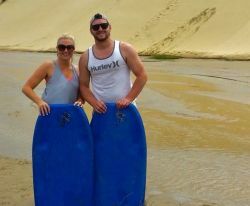 Experience the Far North of New Zealand, the rich heritage and all ages riding the Sand Dunes after trailblazing the sinking sand by bus! What better way to travel to witness colliding seas than to have an exhilarating drive along a 90 Mile Beach where the tide waits for no man and you can see ocean for miles. 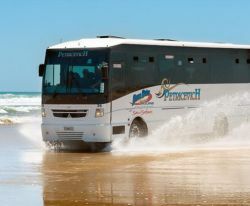 Our touring partners on the West Coast give way to this dream driving over streams of quick sand directly into naturally formed sand dunes. This tour is a must for photographers. Everywhere you point your camera, you will find a stunning shot. At 165m above sea level you get a unique perspective of the rare and awesome sight of two seas colliding. Listening to the many myths and legends of the spiritual beach and islands surrounding you to provide a special day that is encompassed with imagination and laughter. Stopping for a lunch of breathtaking and mystical views it is another must see for visitors to this region of New Zealand. Prior to boarding you can spend time in the Kauri Unearthed Boutique admiring the ancient Kauri wood which has been preserved in swampland for millennia and Maori carvings. As the oldest, workable wood in the world, ancient Kauri is only found in the top half of the North Island of New Zealand. Renowned for spectacular sunsets and boasting one of the best left hand surf breaks in the world meet the top of the North! 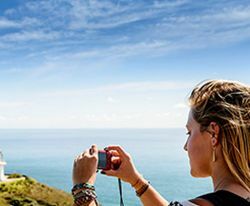 See two oceans collide at Cape Reinga, the Tasman Sea meets the Pacific Ocean in a spectacular swirl of currents. Discover the place of leaping, where Maori spirits begin their final journey home. You will feel overwhelming joy and peace in this part of your own journey. This is a place that will be in your heart forever! Imagine standing and looking out to unforgettable views as the sun dances across these powerful waters. Here the seas collide and create unstable waters off the coast. 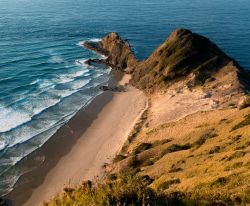 For Maori, the meeting between the two seas symbolizes that between male and female. 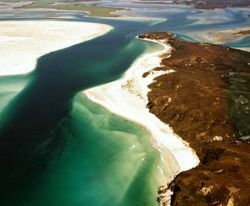 Spend a quiet time walking around this special place where the Twin Coasts meet with nature humming in the background to a spiritual tune. 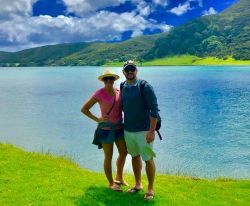 After a Champagne Toast to our guests reaching the "Tip of the North Island", we then depart traveling back down the Northland's East Coast by coach quickly marveling the whitest sand we have seen on our travels to date escorting us home like a trail of white breadcrumbs. 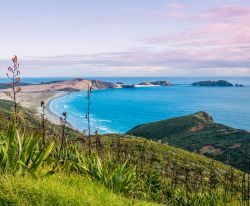 We fly the second part of our return journey over the scenic coastline by helicopter to our lifestyle retreat to enjoy an evening of luxury fine dining and relaxation at Kauri Cliffs. It is a full day! "Amazing moments in the moment!"